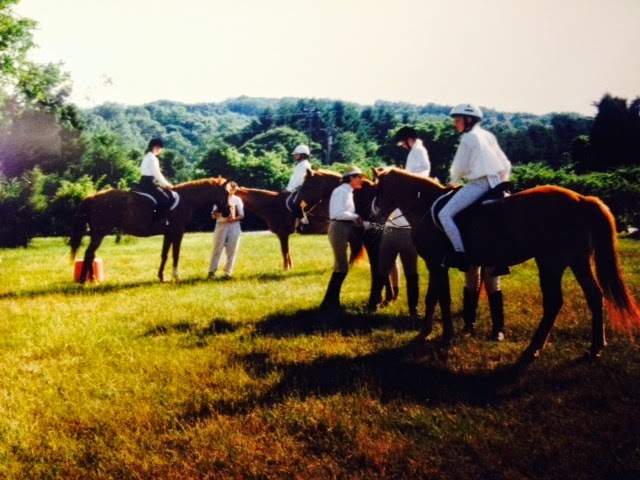 I've always been obsessed with horses - despite growing up in Baltimore City in a decidedly non-horsey family. So my parents made me a deal: if I saved up enough allowance money to pay for 10 riding lessons, they would take over from there. And so it began. 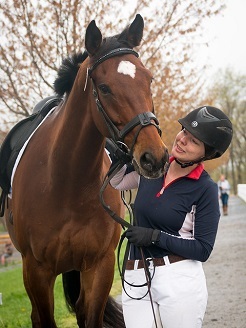 I learned to ride at a barn that didn't outwardly align itself with a specific discipline. We were quite isolated, actually, and the trainer/owner was very traditional and strict (tho fair). She was certain that her way was not only the best way, but the only way. We didn't show, per se, except for one big year-end event that was a closed-barn demonstration to show our parents where their money went. We didn't learn much about the wider world of horses here, though I got an excellent education on all things horse care related by working there through high school. I now recognize the barn as being mostly dressage-oriented, though we jumped occasionally, and the trainer's fundamental philosophy was traditional, balanced seat riding. 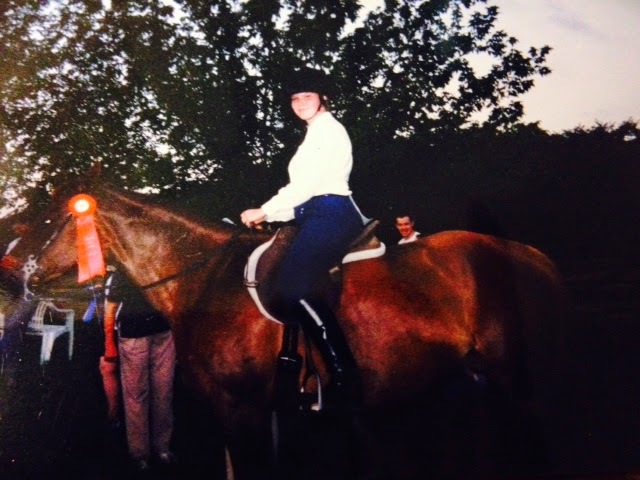 when you got to a certain age, you did dressage tests instead of drill patterns. 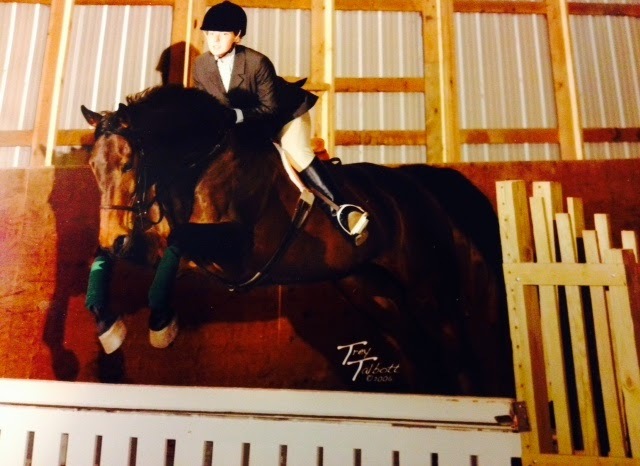 I started riding at an h/j barn for the IHSA team in college, as that was the de facto discipline. And I fell completely in love with my barn in Rochester - it was the whole shebang. 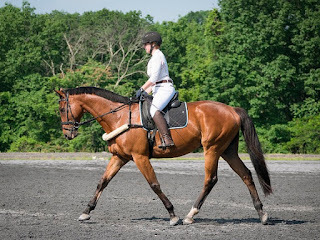 My trainer really helped me get to the next level, I had project horses (mostly OTTBs from the Finger Lakes region), and earned loads of free lessons by managing the lesson barn on weekends and evenings. 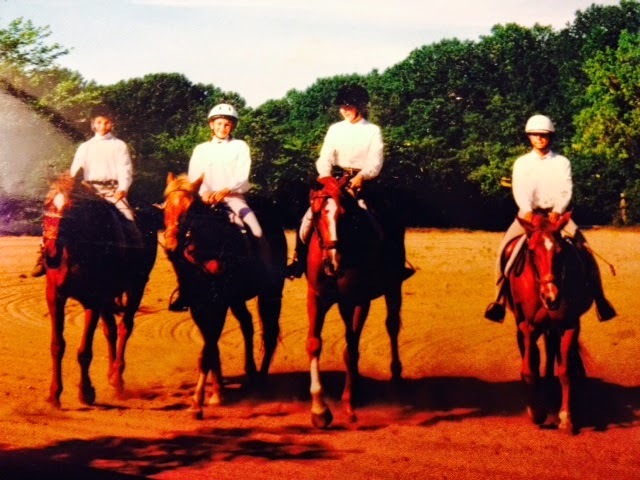 I even had my first taste of showing success in the local schooling circuits. So after graduating (and taking 4 years off from riding in the interim), I found another h/j barn in the Baltimore area. This was more about seeking the familiar than actually knowing what was out there, or what my goals were. It's kinda funny, in retrospect, because I've never really fit in super well with the hunter world. That's not to say that I felt excluded or out of place (I didn't and don't) - I just never felt that my talents (or lack there of? lol) where a great match. In any case, things got interesting when I found Isabel (or when she found me?) at a different barn while continuing to lesson at the new h/j barn. I had a *very* affordable six month full lease on her, and figured she'd serve to get me into good enough shape to be successful after so many years off. 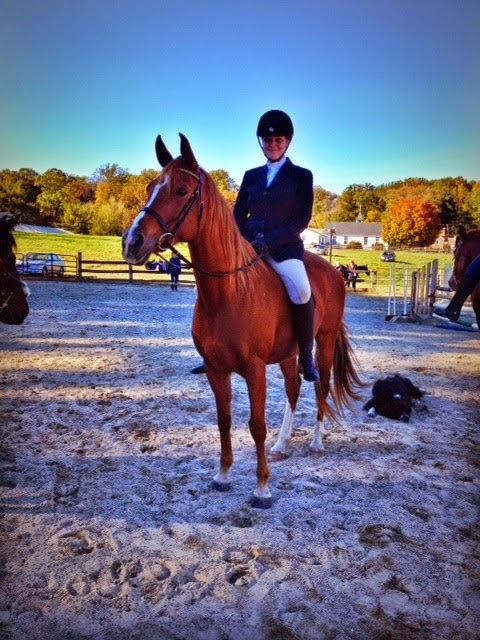 But a strange thing happened - Isabel became an exciting mount in her own right and I extended the lease indefinitely. 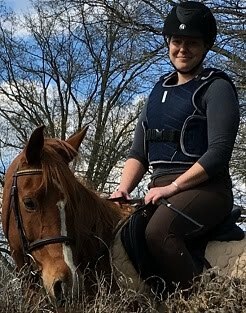 Then I discovered this excellent blogging community, and was really inspired by all the various ways you enjoy your horses and fit them into your lifestyles, regardless of resources and background. I realized that I had a special horse on my hands, and that I'd never get the same kind of animal at this cost ever again. 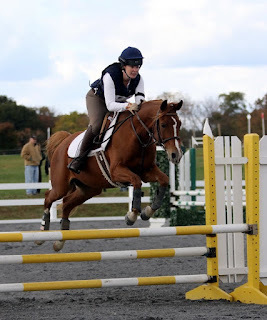 By this time I was educated enough in various disciplines to recognize that I'd be squandering my game arabian mare's talents by squishing her into a hunter mold. So I started thinking about which disciplines she could excel in. Obviously anything trail related - trail challenges or endurance, for instance. But my heart has always been in jumping. 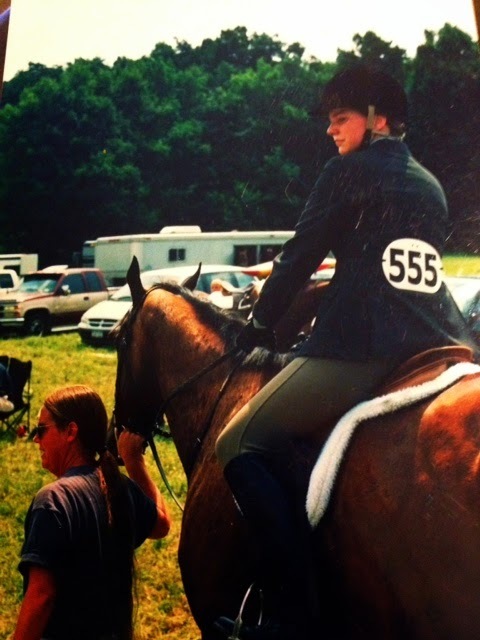 And I've always had a fixation on cross country (despite my wussiness lol). Getting judged on just time and faults? And scrappiness is applauded?? Yea, Isabel can do that. 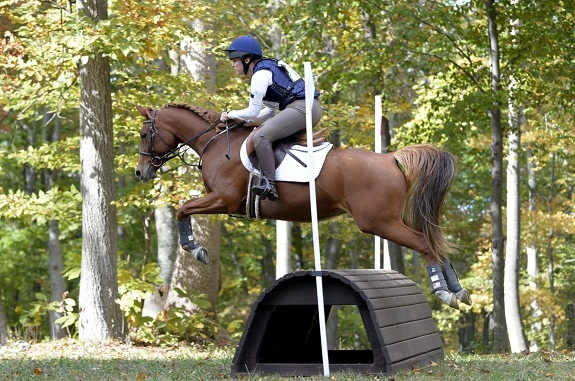 So we dove into eventing in the spring of 2014. We started dressage and jumping lessons, and school xc whenever possible (which is not nearly often enough!). Our first few events at intro/baby BN were a blast (despite some bobbles) and we moved up to BN in spring 2015 then Novice in fall 2015. Unfortunately the 2015 season was cut short after a clumsy accident left me with a broken leg. 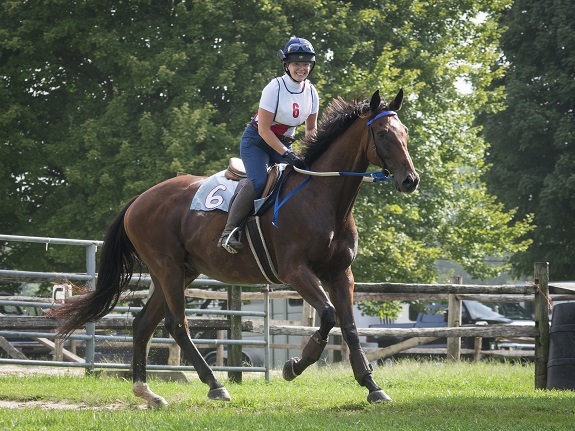 Upon recovering, things started off well enough... but once the 2016 show season began, it became apparent that Isabel was maybe ready to be finished with the rigors of being a sport horse in training. Much of the summer was spent moping about this (while simultaneously catching rides on whatever other horses might be available) until finally the stars aligned and I found my new equestrian partner, Charlie. 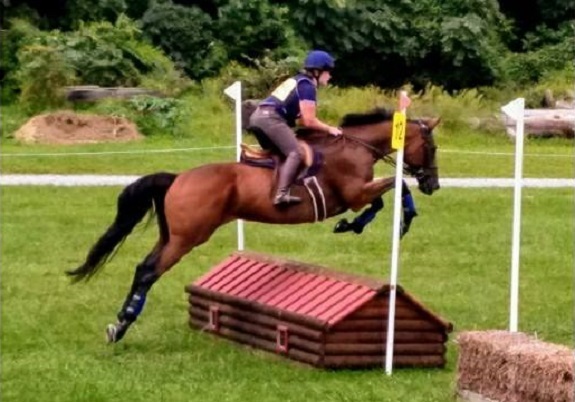 Charlie retired from track life in August 2016 and eased into his new career as an event horse throughout 2017 - mostly competing at starter level then finishing the season strong with a couple BN runs and experience schooling N.
The 2018 season saw Charlie really settle into his new lifestyle. Moving up to N in the spring introduced new challenges for us, with our highest highs punctuated immediately by the lowest lows. That always seems to be the way with horses, tho, and it gave us the opportunity to dig deeper and solidify our foundation. This meant going on as many adventures as possible - including big group trail rides, hunter paces, paper chases, hunter trials, clinics... You name it, Charlie's done it. And by the end of the season, he clicked fully into gear: finishing on our dressage score to win at the novice level. I have high hopes for this guy - he's brave and uncomplicated and has yet to be impressed by anything we've thrown at him. He's shown an aptitude for jumping and hasn't batted an eye at anything, including his introduction to schooling T. He's also progressing nicely on the flat, capable of producing a reasonably correct first level test. More than anything else, Charlie has grown into an incredible riding partner. He makes me feel brave and dares me to dream bigger. I'm hoping that with a solid and carefully laid foundation, the sky will be the limit with this big sweet OTTB!